This Sunday I preached in KingsGate Kingston about the centrality of ‘loving God’. I spoke about how it is central, not only in what it means to be church, but in what it means to be a human being. It is so easy for us to get caught up in the busyness of life in a city like London or for us to get so caught up in ministry and noble causes that we lose sight of our ‘first love’. Above all things we are called to be lovers of God and to delight in him – it is from this place that our fruitfulness comes. The Westminster shorter catechism reflects this in its statement that, ‘the chief end of man is to glorify God, and to enjoy him forever’. 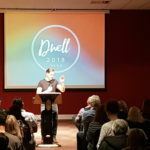 DWELL has historically been a significant way in which we at KingsGate have demonstrated that we desire to be lovers of God before everything else. It has been a time when we have gathered together as the KingsGate family and enjoyed God in unhurried and creative worship. A time when we have heard from God through the ministry of gifted and close friends. They have been times of great prophetic input for us corporately as well as for many people individually. We as the KingsGate elders believe that DWELL matters. It is not just an event, but rather it represents a culture of worship and waiting on God that has been so important to us and it is a culture we want to continue to strengthen. It is therefore our desire that as many KingsGaters as possible prioritise and attend this time. 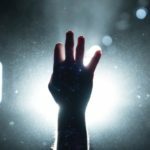 We are also aware that there are many, many people in the Kingsgate family that are relatively new to our story and understandably would not be able to appreciate the significance of Dwell. As a result, we want to remove as many obstacles as possible which could prevent people attending. In light of this we, the elders, have decided to significantly reduce the tickets to just £10 per adult. Although the original cost was certainly not excessive for an event like this, we do recognise that for many families in September it could be a cost too far. In doing this, we hope that many who were not able to come will now be able to gather with us in October for this special time. It is important to know that this is not a financial decision on our part but a vision decision. It is a decision that reflects our desire to see KingsGate not lose the delight of dwelling together in His presence. A decision that reflects our desire to be built up together in his presence. PPS: Just like they do at many other conferences, we will create opportunity for additional giving during the meetings in order to help us with our costs – costs that are virtually all airfares and gifts for the speakers.